Puppy love! This puppy is absolutely adorable. 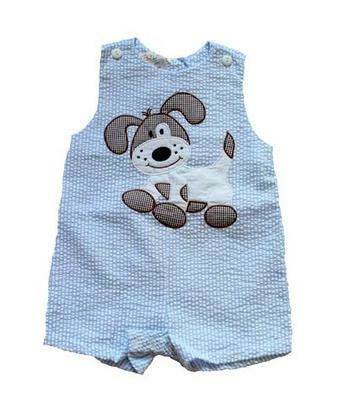 The blue/white seersucker romper makes the brown and white checked puppy pop. This is 100% cotton and super comfortable.